In 2008, Isao Sudo is found dead in Shizuoka Prefecture. He ran a used car store in Tokyo. 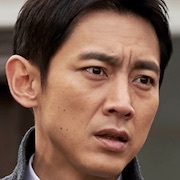 Detective Satoru Kusaka from Shizuoka Prefecture investigates the death of Isao Sudo. He learns that in 1974, Isao Sudo's son was kidnapped and killed in Shizuoka Prefecture. In 1988, Seiichiro Shigeto (Takaya Kamikawa) was appointed to lead a team of 6 detectives and they reinvestigated the kidnapping and murder case involving Isao Sudo's son. 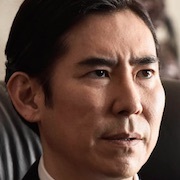 Detective Satoru Kusaka has a hunch that the case involving the death of Isao Sudo's son will lead to the case involving the death of the father. Detective Satoru Kusaka meets Seiichiro Shigeto to gather information. 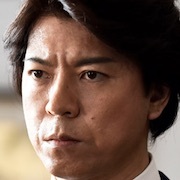 "The True Culprit" takes over WOWOW's Sunday 22:00 time slot previously occupied by "Kuro Shoin no Rokubee" and followed by "Pandora IV: AI War" on November 11, 2018. Based on novel "Shinhannin" by Kan Shoda (published October 26, 2015 by Shogakukan).